Very well made, perfect finish, quality product. Surprisingly light and thin but very robust. The cover made my iPhone look so much sleeker and it shows no fingerprints. Good design, I recommend highly. Isabel D. Reviewed by Isabel D.
Case was purchased as a gift for my wife. Product was shipped quickly, and I’ve yet to hear any complaints about the case from my wife who said she loved it. I’ll take that as a win! After many drops over a few years case finally cracked but not iPhone ! Jennifer J. Reviewed by Jennifer J.
Loving my new VRS Rose Gold Crystal Bumper Series Case for iPhone 6/6s!! I love this case for lots of reasons. The clear back lets you see the beautiful rose gold color, and the side color accents are perfectly matched to the phone's color. It fits, and fits well! All the cutouts, buttons and openings all correspond exactly to those on the iPhone. (My last case was a disaster when it came to all the cutouts matching the phone).The VRS case is slender and sleek and offers nice protection. The cost was quite reasonable. This case is definitely a winner. Thank you VRSDesign! I simply love it. I've had this case for maybe a year, maybe more. Don't ask how, but I've dropped my phone three times now in a parking lot from pocket height and this case continues to save me every time. Not only is it sleek and stylish but its durable and has great protection. The edges come above the screen giving it good protection while leaving room for a screen protector. 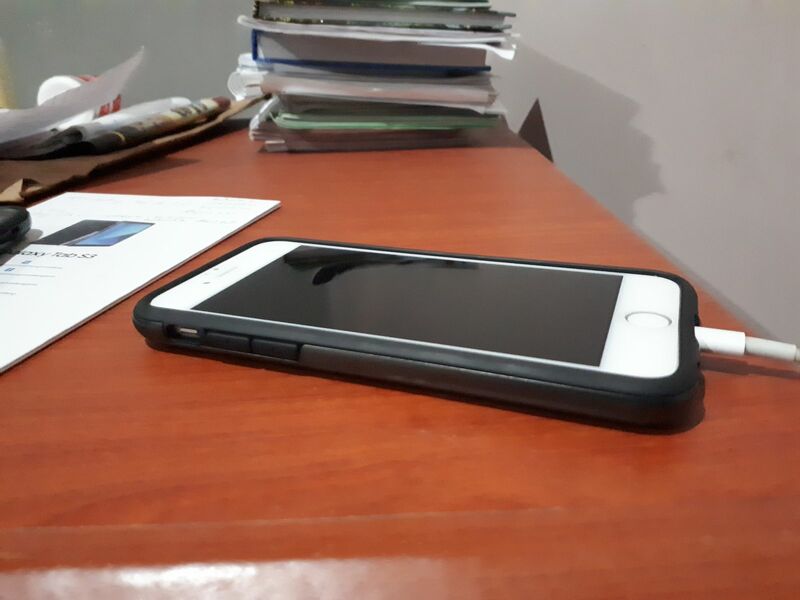 Kaile C. Reviewed by Kaile C.
This case has saved my phone multiple times. I have to hand my phone to strangers to get pictures for work and they are constantly dropping it. I'm glad to have finally found a product that both protects my phone and isn't incredibly bulky. Barb T. Reviewed by Barb T.
Very slim but strong and easy on the eyes! Samuel M. Reviewed by Samuel M.
how can I rate something if the item didn't arrive yet! it's taking ages! Hi there – thanks for bringing this to our attention. Please contact us at support@vrsdesign.com with your order number and we'd be happy to see how we can help. I love this case. Perfect for someone who doesn't always carry a purse. Ricki C. Reviewed by Ricki C.
Matt M. Reviewed by Matt M.
Great case but I wish that there was some type of grip or rubber catch to help keep it from sliding on a table or dash. Shipping took far to long. Rachel L. Reviewed by Rachel L.
Perfect Gift for my Husband! My Husband loves this sliding phone cover, and everyone that sees it wants to know where we purchased it. We will definitely be referring our friends to VRS! Bought this for my husband as a birthday gift! He loved it.. very nice quality leather. Loved that he can put drivers liscence and credit cards in the compartment as well. Product came very quickly. This is my second VRS case. I’ll buy one for every phone upgrade. These cases are so excellent that my husband and I each buy a new one whenever we upgrade our iPhones, or as in this instance, when they are getting very slightly shabby after 2 year's hard use. I love the red and he loves the black. 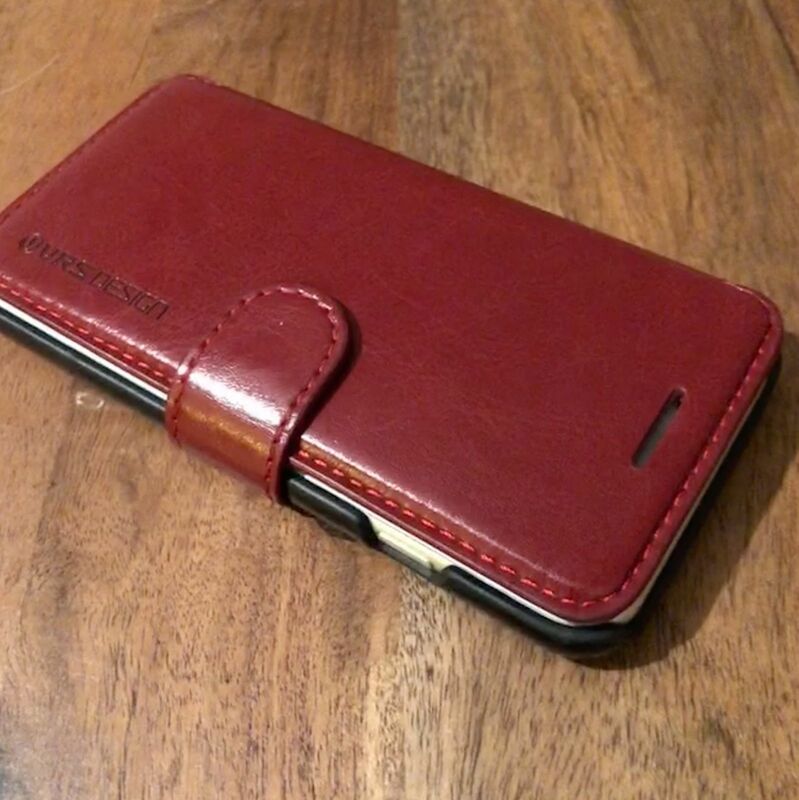 Beautiful quality leather, fantastic fit, and great protection for screen and corners. I have dropped my phone several times on our tiled floor, and am always thankful for such robust protection. Keeps my essential cards and license. Magnetic closure works great. Other magnetic closures without a tab won’t stay closed once cards are put in the wallet. This closure is positive. Smart looking too! Designed for perfect compatibility, the Damda Clip is specifically crafted to fit your device and a convenient compartment for your cards or cash. It provides a comfortable way to store your cards easily and has reinforced corners that protect against impact and drops. Enjoy the smart, and convenient way to keep your valuables secured all in one hand. Diane D. Reviewed by Diane D.
Great case. Holds 2 cards perfectly. A third card will fit in the clip but doesn't always stay in the correct position to grab ahold of easily. One or two cards work great. Ronald P. Reviewed by Ronald P.
Imran I. Reviewed by Imran I.
Linda T. Reviewed by Linda T.
The Damda Clip case is both beautiful and practical. When I leave the house all I need are are my keys and phone with ATM card clipped inside the case.